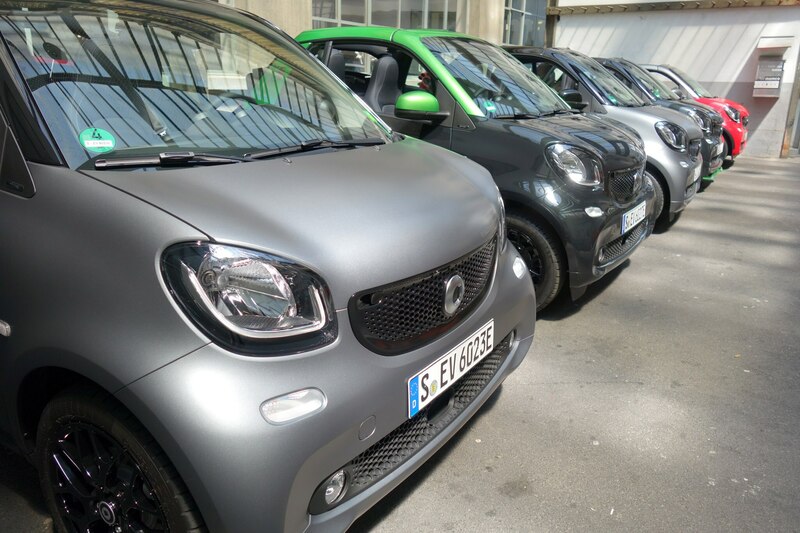 GENEVA, Switzerland — It’s blazing hot, just a smidgen above 95 degrees. 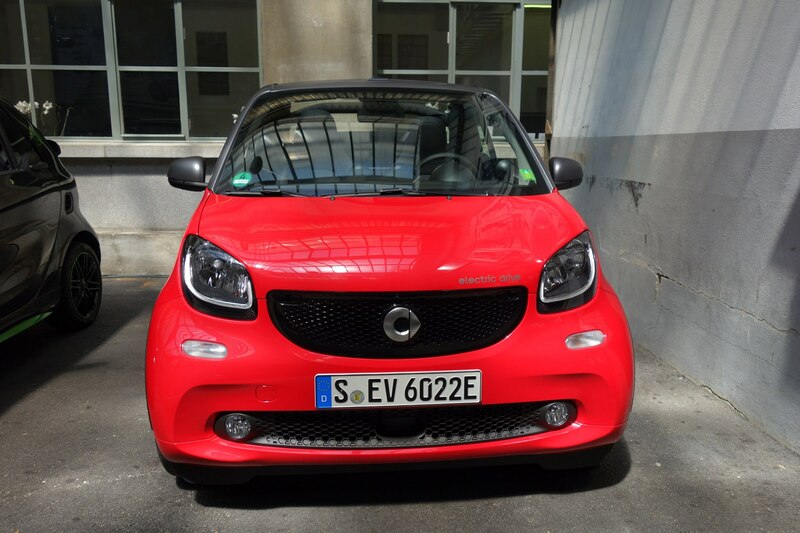 Not exactly the best conditions to test-drive the all-new 2017 Smart ForTwo Cabrio Electric Drive, but certainly not the worst. 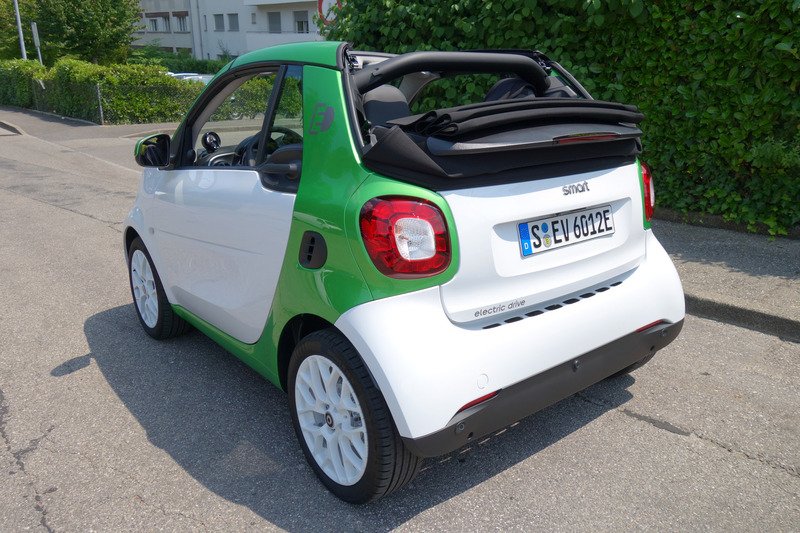 With the top down, I tap the A/C’s fan button up to max before zipping through the streets of Geneva in a little lime green and white, oversized golf cart. 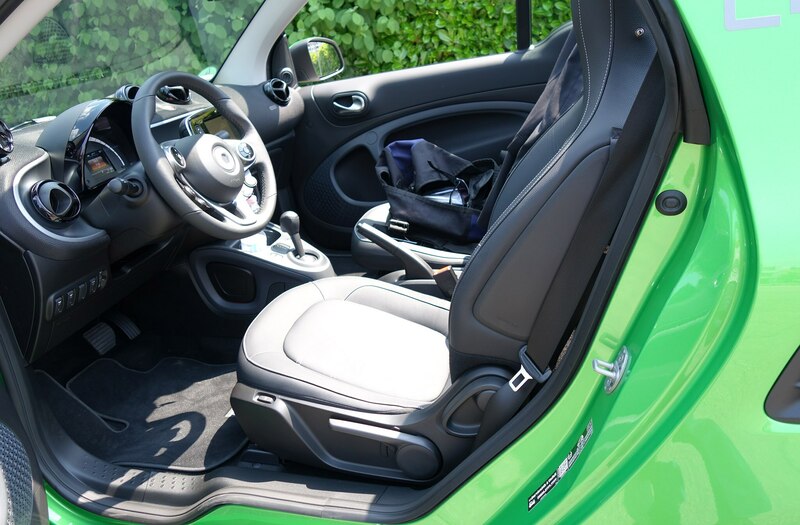 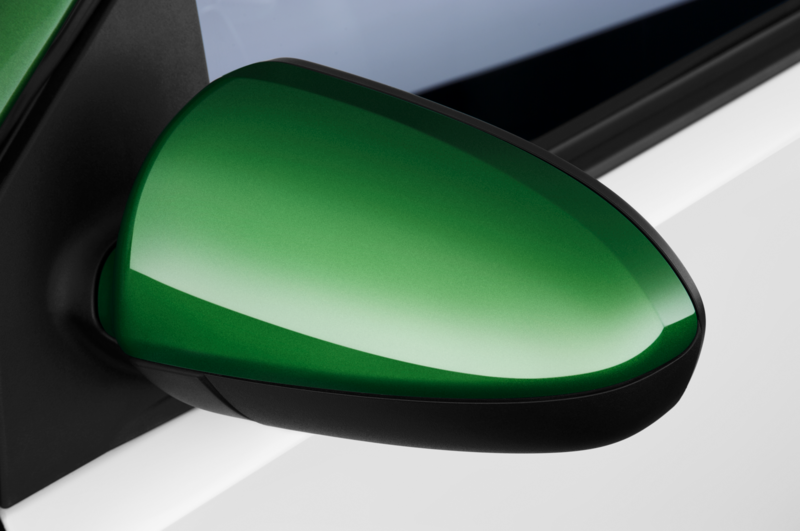 The folding top retracts in 12 seconds, restricts your rearview considerably, and it can go down or up at any speed, including the micro EV’s top speed of 81 mph. 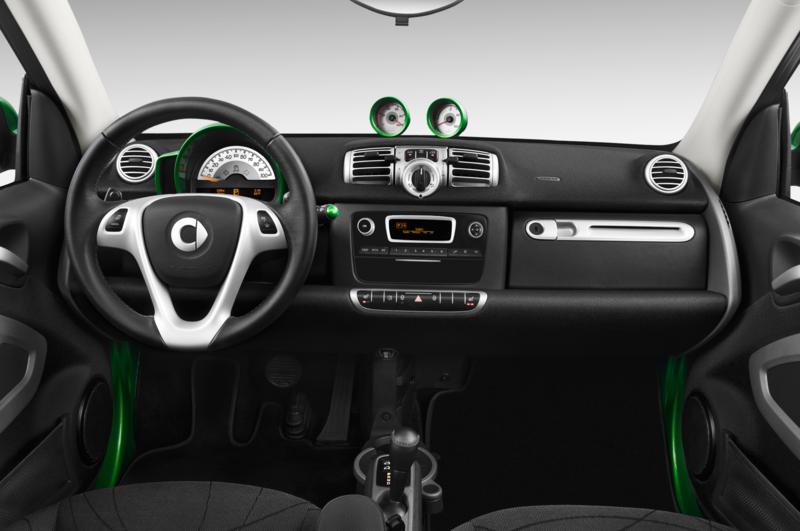 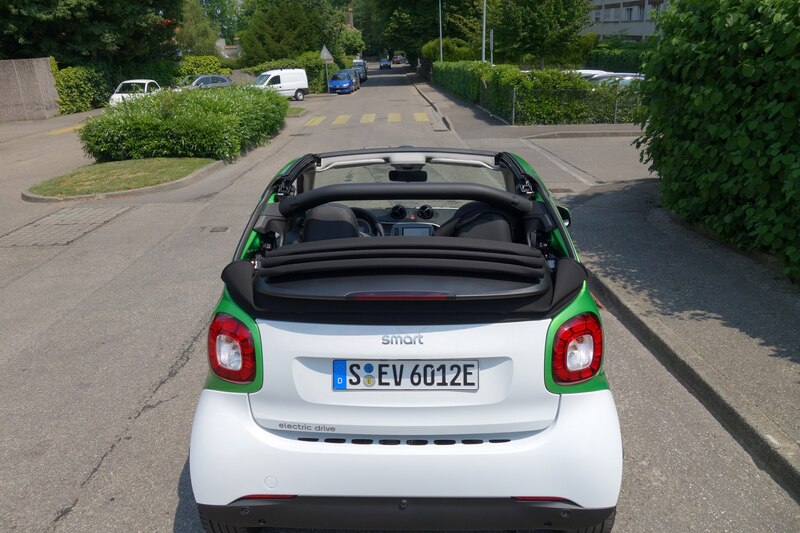 Smart’s Cabrio is also the best way to see the surrounding Alps — despite looking like a cheese fondue on wheels. 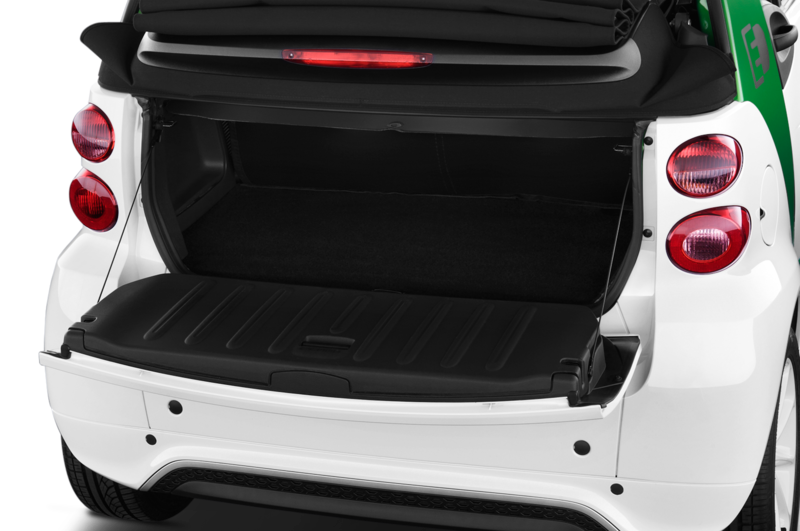 Roof bars can be removed and stored in the split-section tailgate for a more open-top look and feel, but you have to pull over to do that. 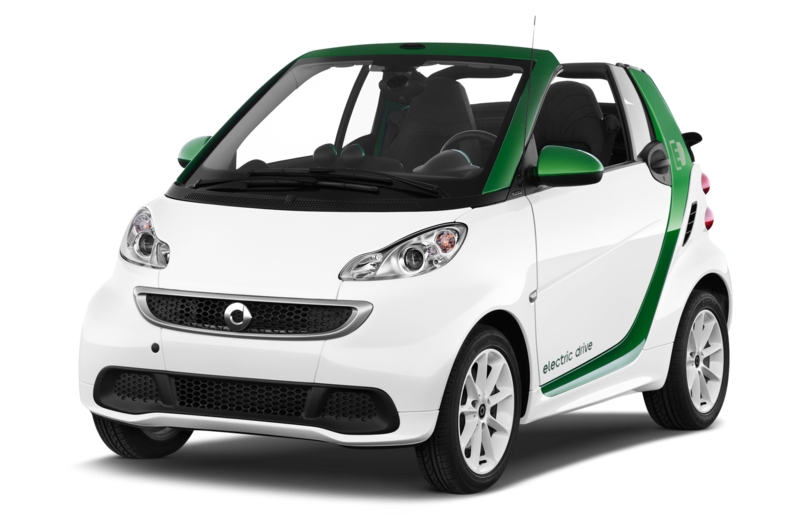 Smart is going all-electric these days in the U.S. and phasing out its gas-powered micros for 2017. 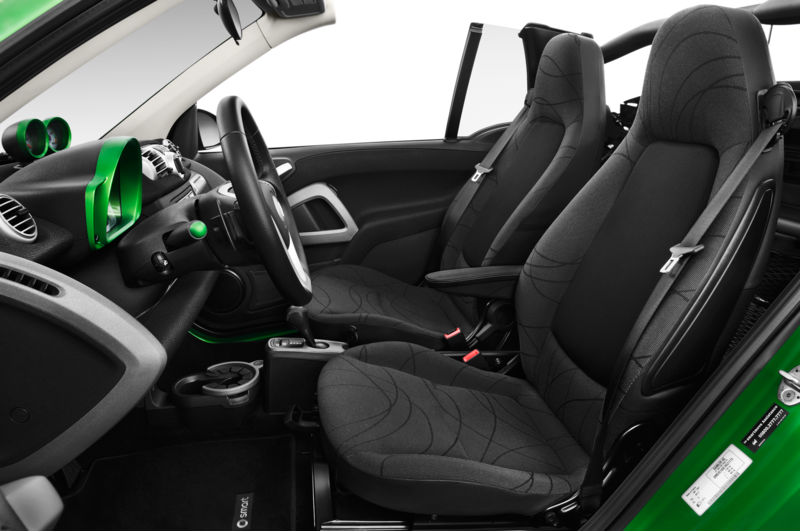 Gas variants are still available in other markets, but after driving the EV version, you’ll quickly forget all about them. 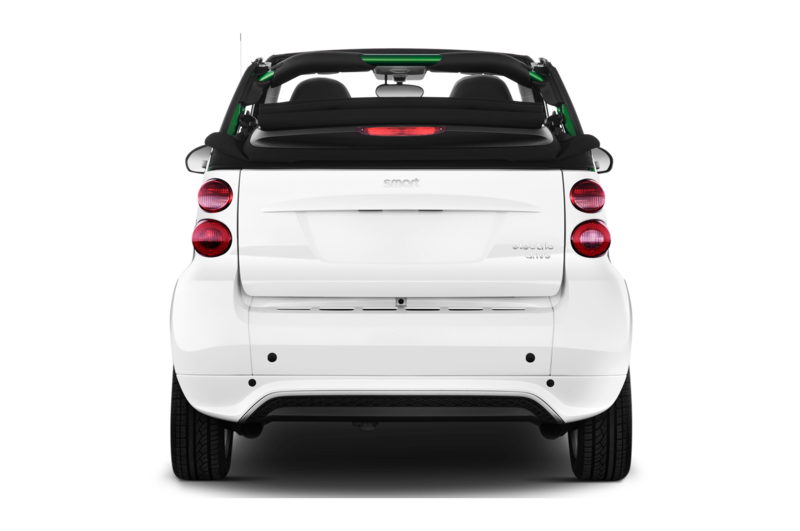 The new Cabrio Electric Drive (ED) is a serious hoot to drive too — especially if you live in dense cities like New York, Paris, Rome, or Geneva. One of the car’s best features is its awesome turning radius of 22.8 feet, which makes it a breeze to turn around on the narrowest of city streets. 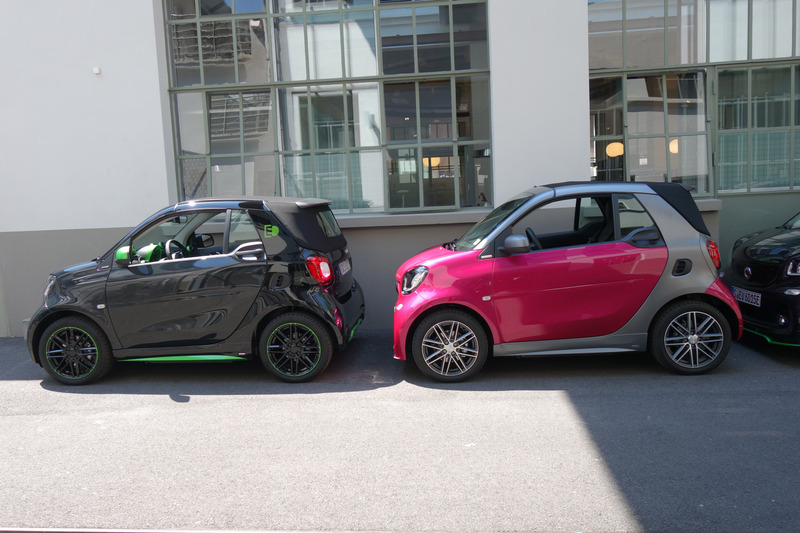 On the highway, the new Smart offers a noticeably better ride than its predecessors, but it’s still not exactly the kind of vehicle you want to drive in larger more spread out cities like Dallas or Los Angeles because of its limited range. 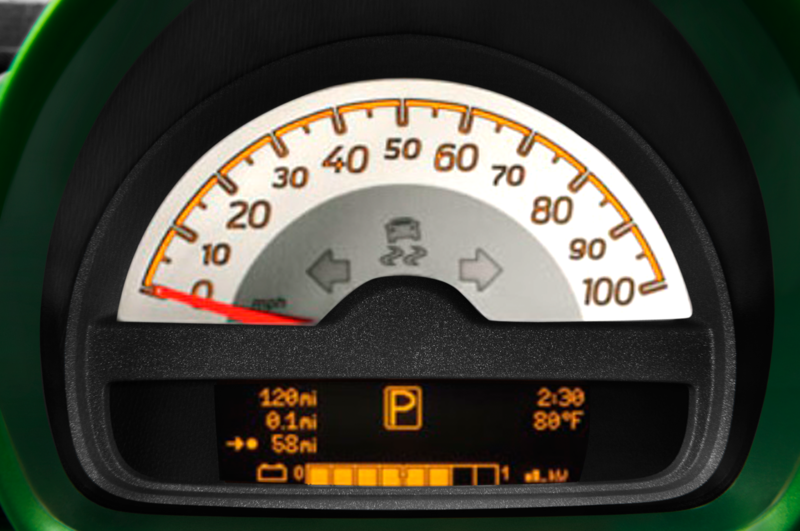 Also, one Chicago pothole or winter could be lethal. 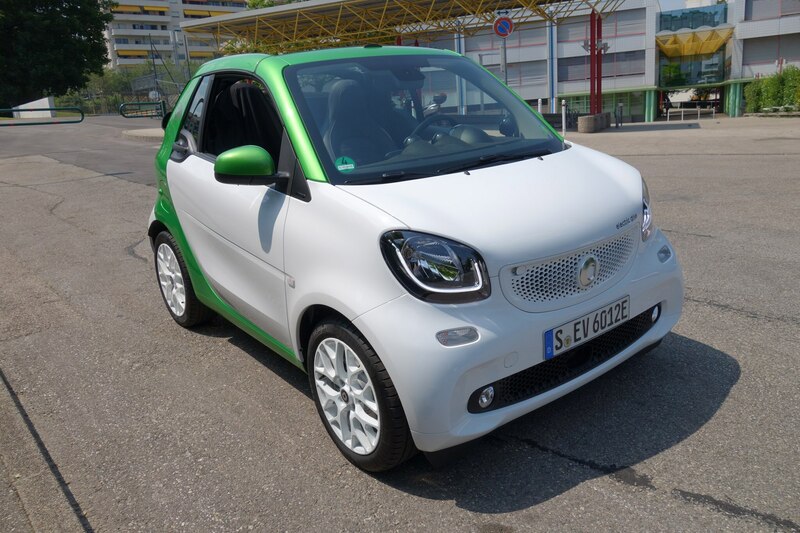 Smart’s super compact EV is powered by an “externally excited three-phase synchronous motor” that cranks out 60 kW or 81 horsepower to the rear wheels. 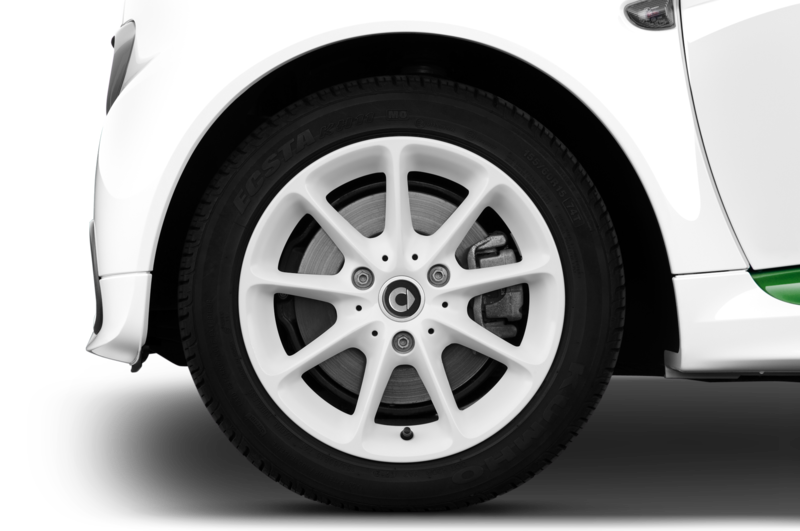 The motor offers 118 lb-ft of torque and is mated to a single-speed transmission. 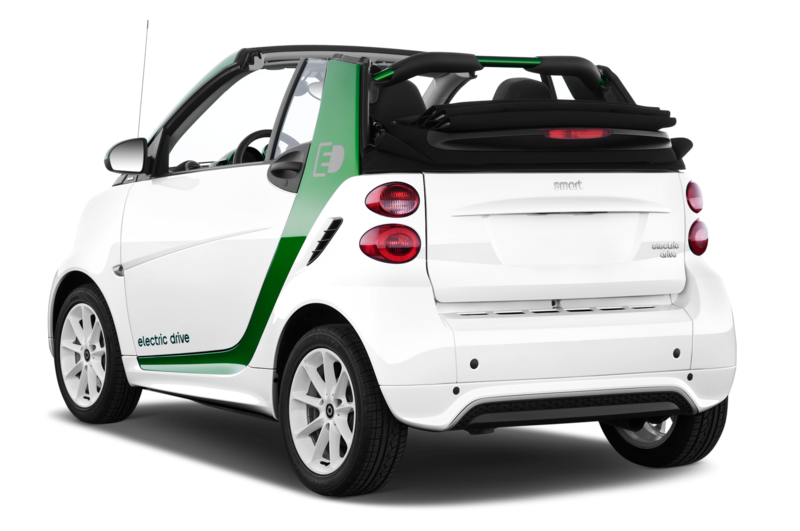 Zero to 62 mph is accomplished in a glacial 11.8 seconds, but if you pound the accelerator from a standstill it zooms away like a pocket rocket — 0 to 37 mph is reached in 5.2 seconds. 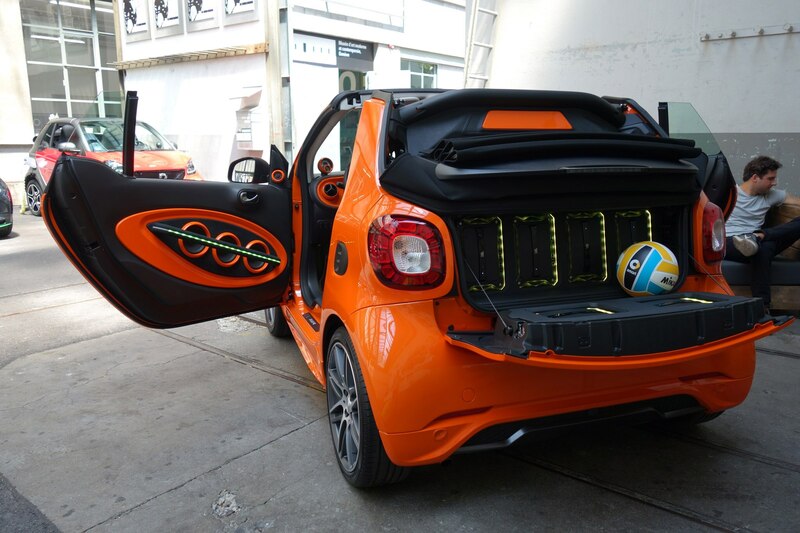 That’s more than enough pizzazz to shoot ahead of mopeds, messengers, or theoretically tailgate a Tesla 3. 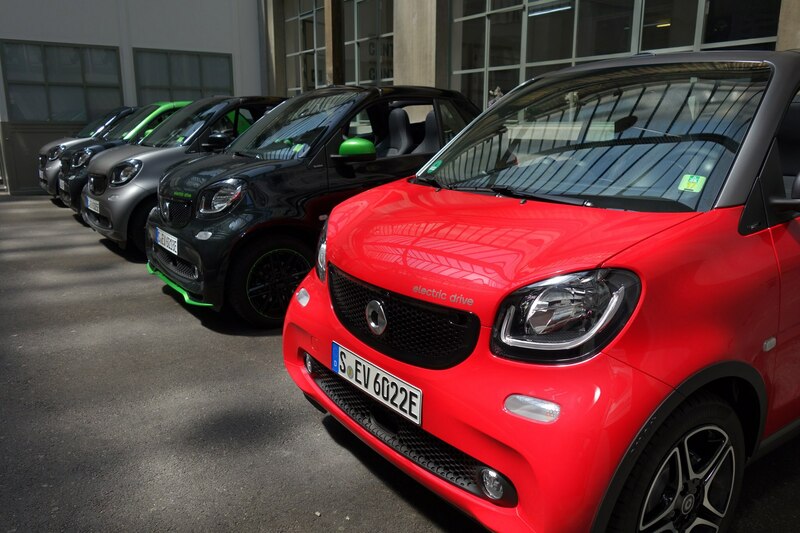 The ForTwo ED gets its power from a 17.6 kWh lithium-ion battery pack from Daimler’s subsidiary ACCUmotive, which also makes batteries for Mercedes-Benz, Renault, and Nissan. 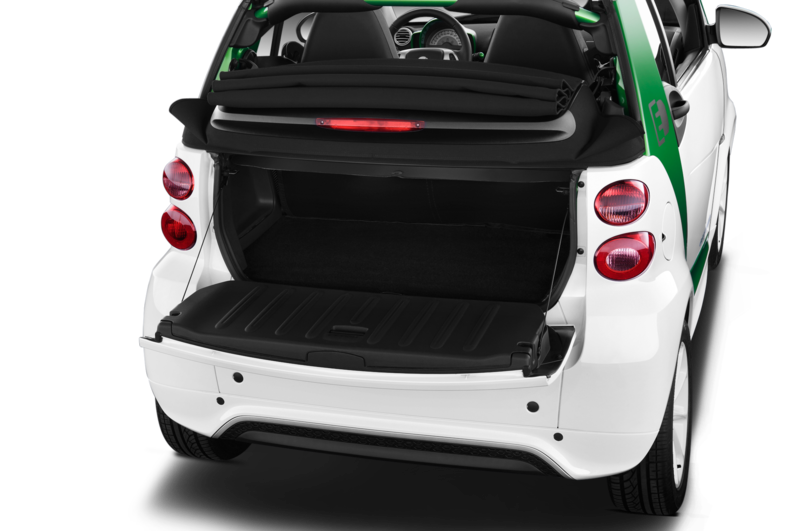 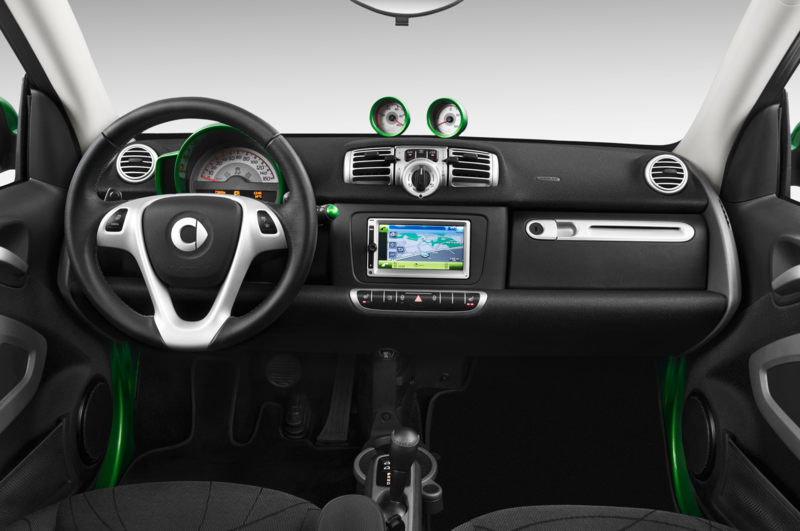 For the Smart, the battery consists of 96 pouch cells that are located under the floor seats between the front and rear axle, which benefits the EV’s center of gravity. 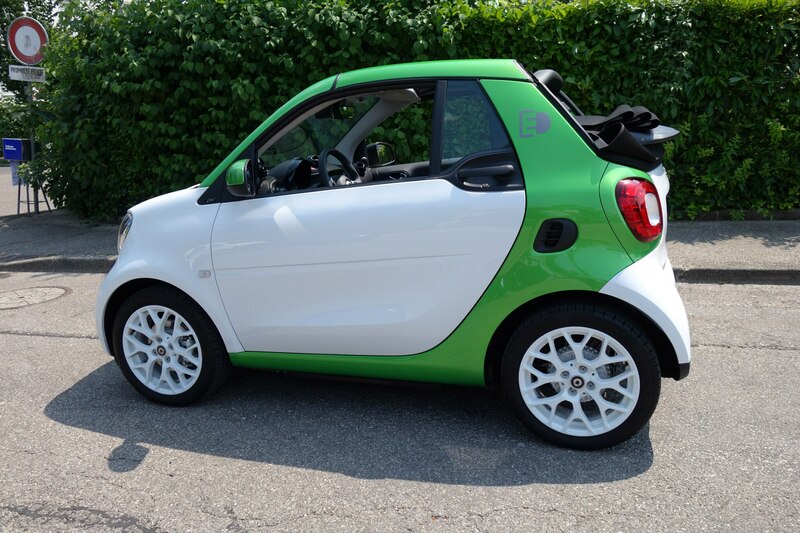 Smart says all EDs come with an 8-year, 62,000-miles battery warranty. 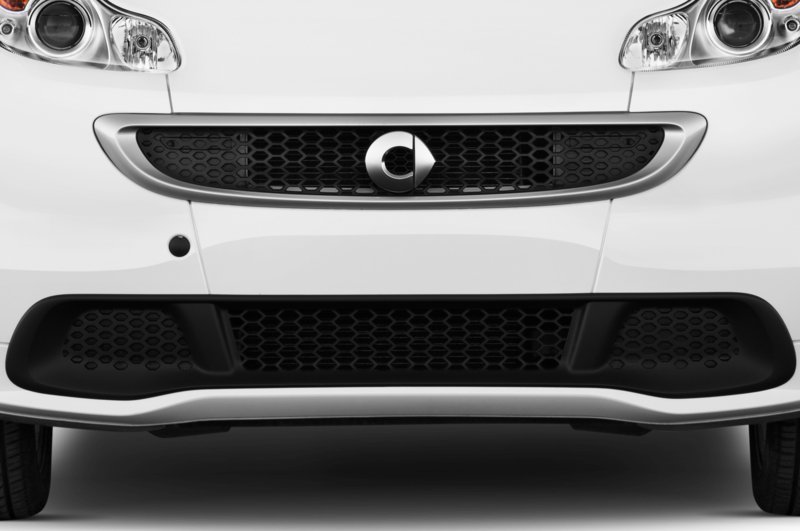 Smart’s third generation two people mover sports a stubbier hood and a new plastic grille that’s about as ugly as an English Bull dog’s snout. 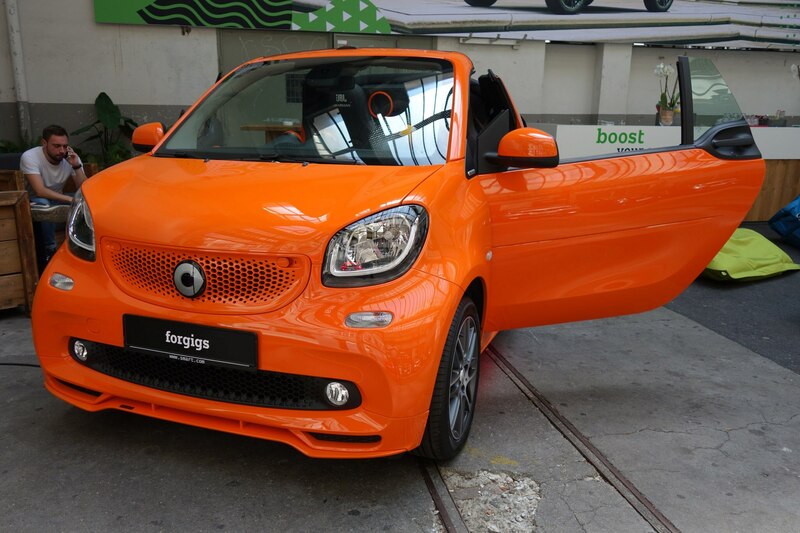 It grows on you and compared to the cute mug of the previous versions, it’s a noticeable improvement. 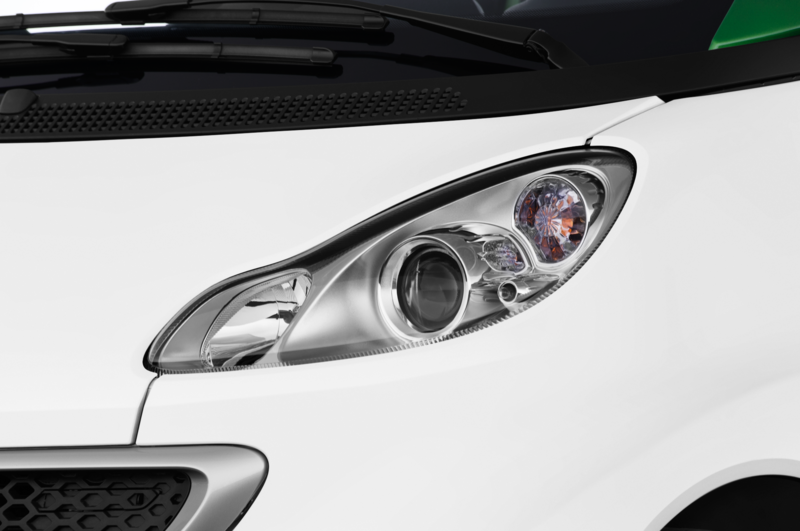 Headlights get U-shaped LED eyeliners, clear oval turning signals, and golf ball-sized fog lights. 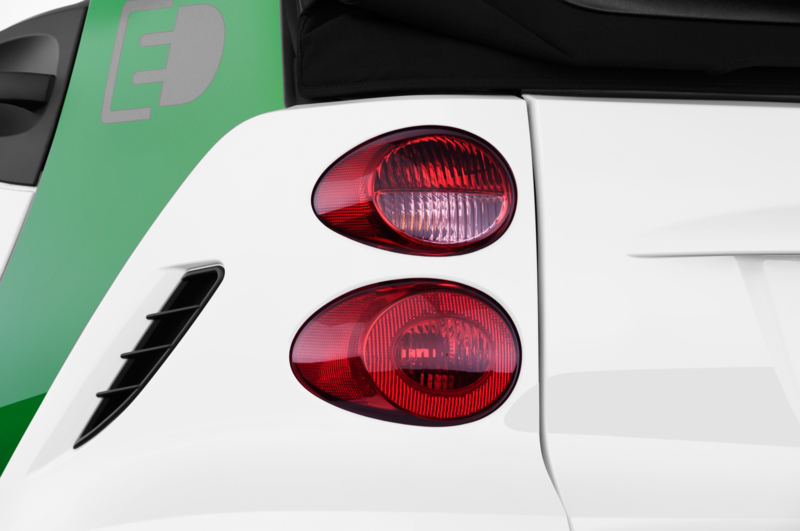 Side profile and the rear deck remain basically the same and now feature “Electric Drive” badging. 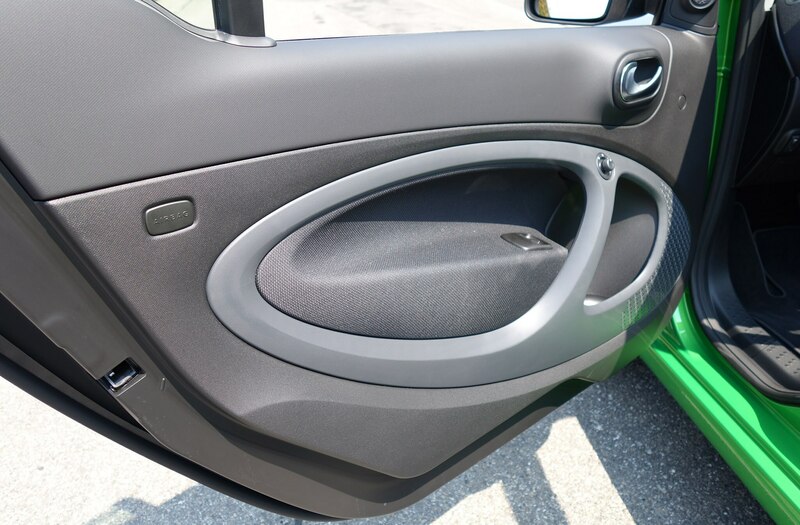 Inside, the Smart ED offers an abundance of plastic doodads, door pockets, and cubbyholes for small stuff. 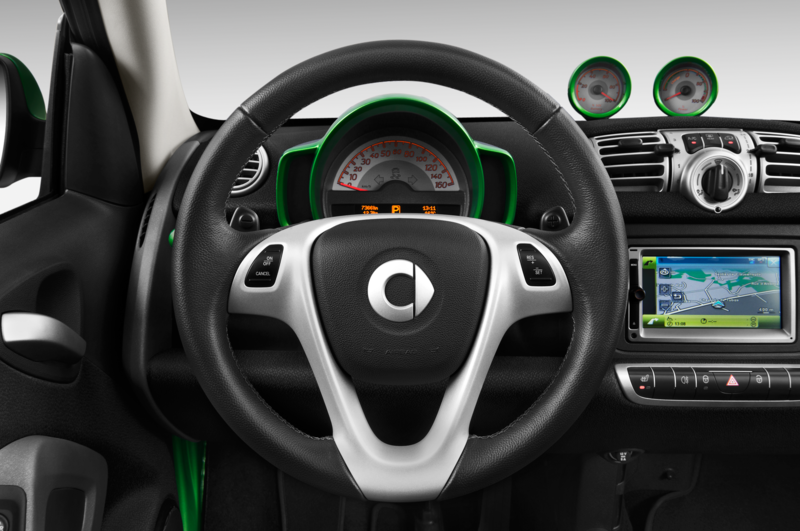 There’s a 7.0-inch touch screen, an EV power/range gauge, bug-eyed air-blowers, handy steering wheel controls, and a mesh-fabric dash that’s a potential dust magnet. 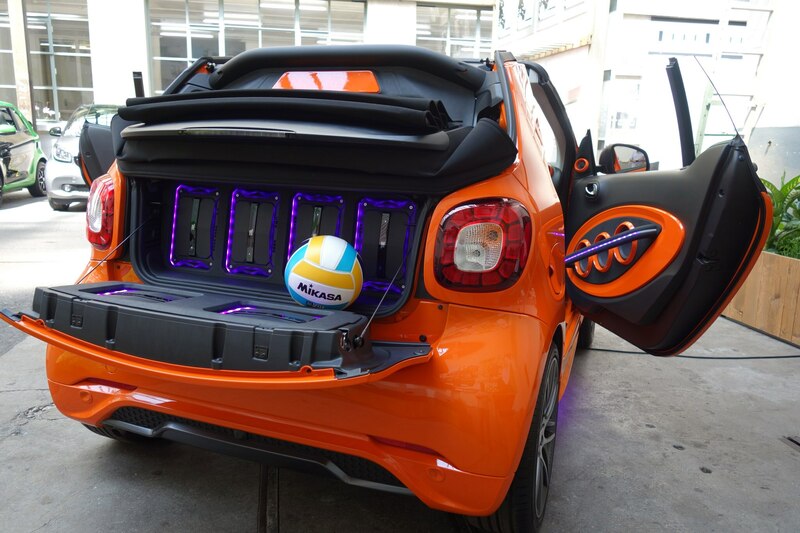 Overall storage space is seriously limited. 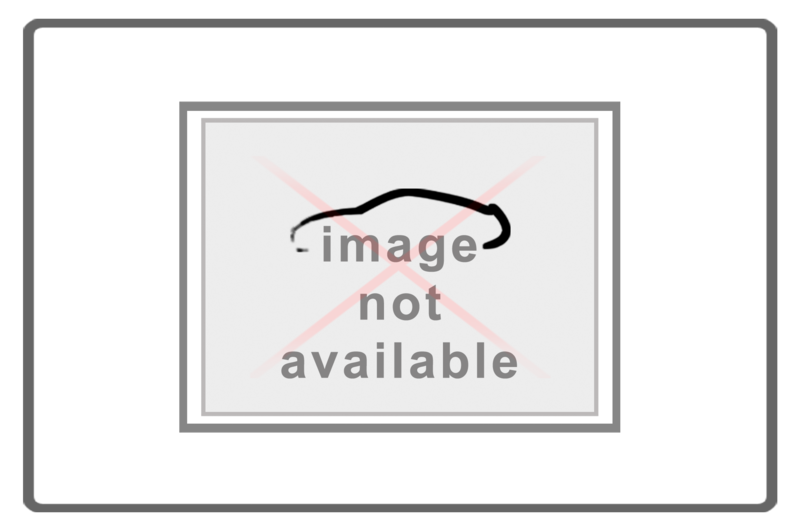 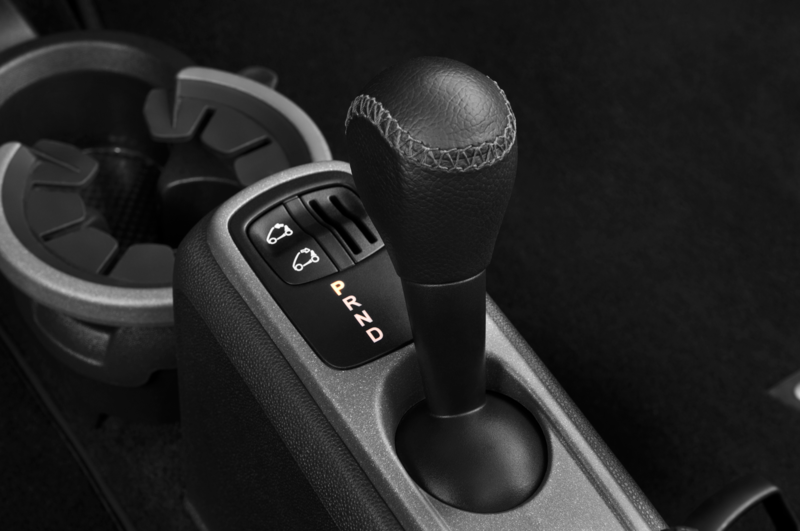 A plastic knob shifter is located on the center stack and is as easy to use as one found on a traditional car. 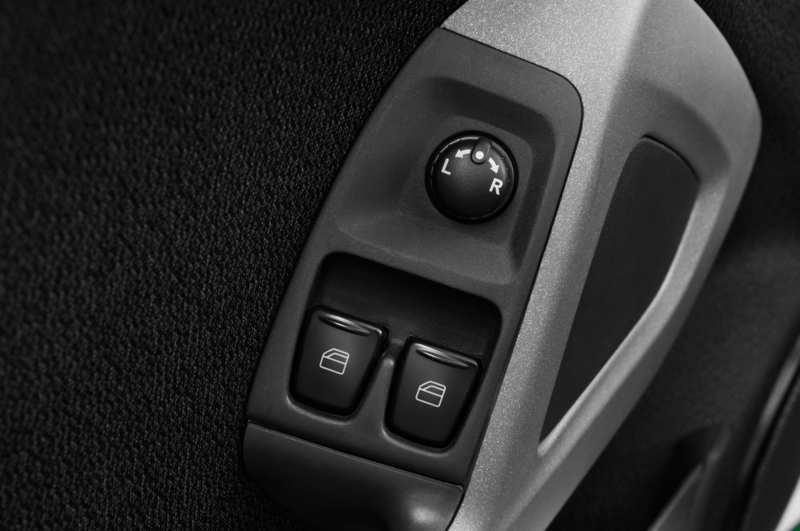 Park, reverse, neutral, and drive modes are located by shifting — a refreshingly traditional touch. 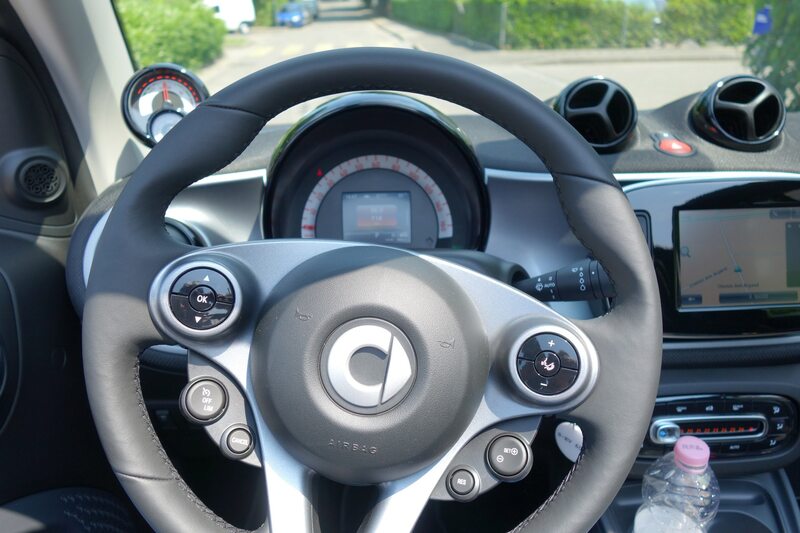 Navigating the narrow streets and roundabouts of Geneva is easy as we trail a Smart caravan heading north along the western shore of Lake Geneva. 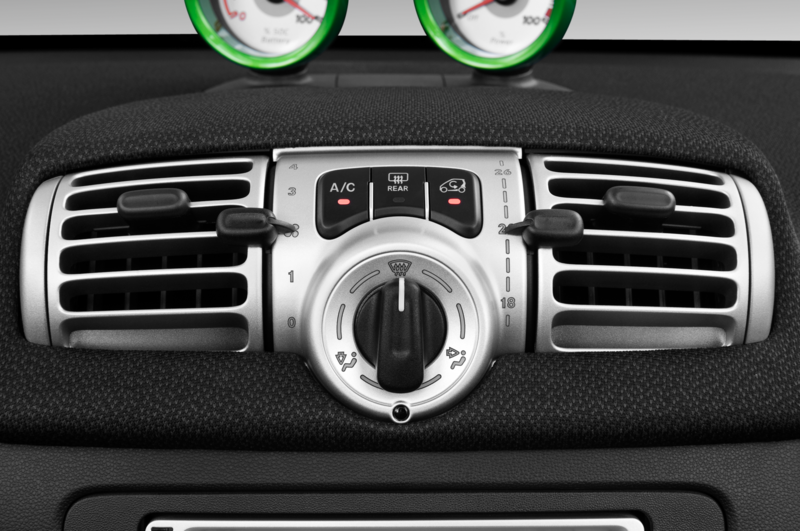 Deep Purple’s “Smoke on the Water” plays on an endless loop in my head as the A/C fan refuses to go any higher. Nearly halfway through our 1.5-hour EV excursion, a warning from the navigation system recommends a charge stop in order to complete our destination. 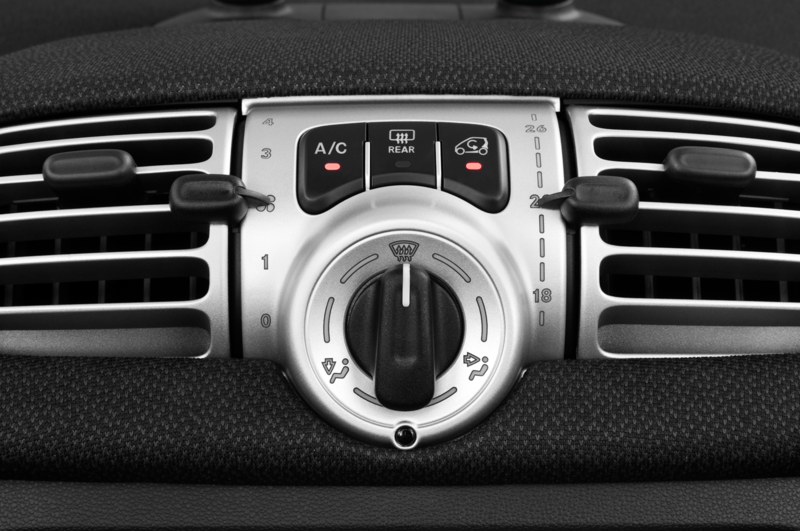 Range anxiety immediately creeps in as the stereo and A/C are reluctantly turned off. 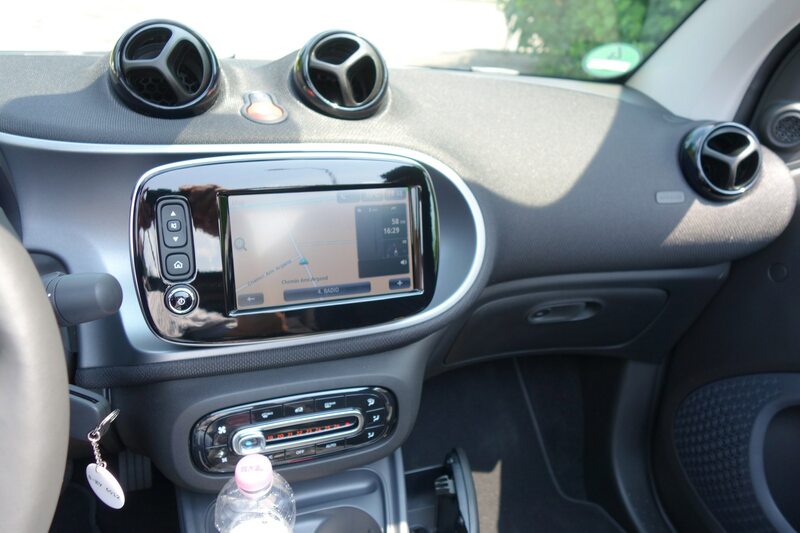 I set a direct course for the Geneva Airport, our final destination that is less than two and a half miles from the city center. 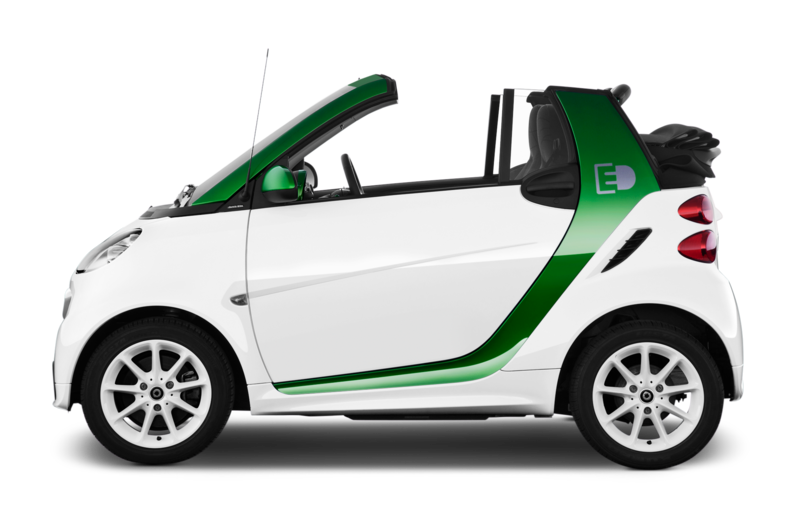 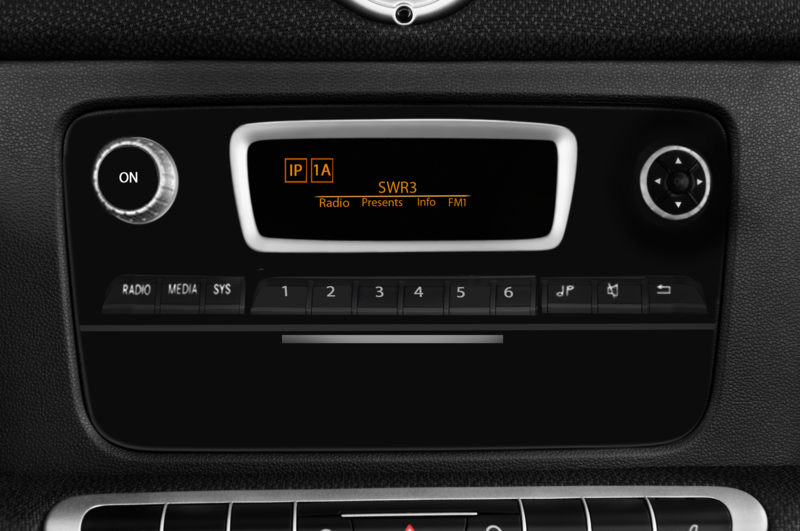 The Smart ED’s range is estimated between 70-80 miles and in order to hit those numbers, you’ll need to keep it in Eco mode and turn the A/C on super low. 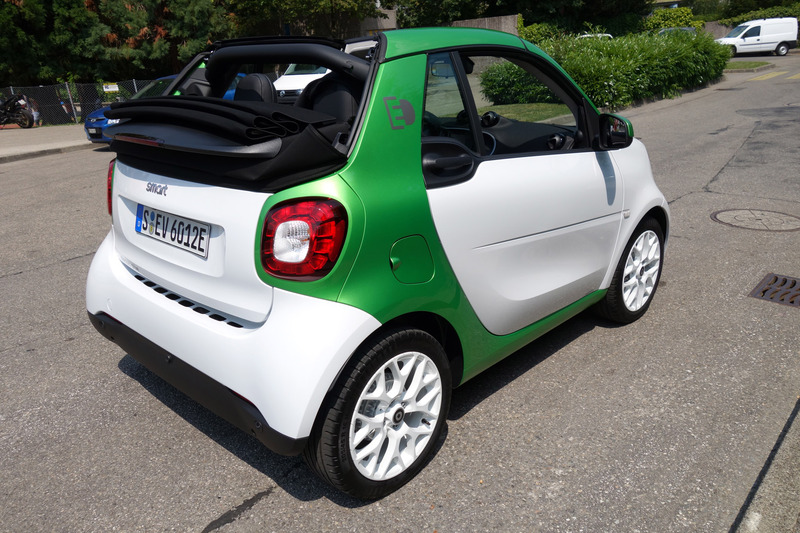 Unfortunately, after a series of wrong turns, I end up on the other side of the border in France. 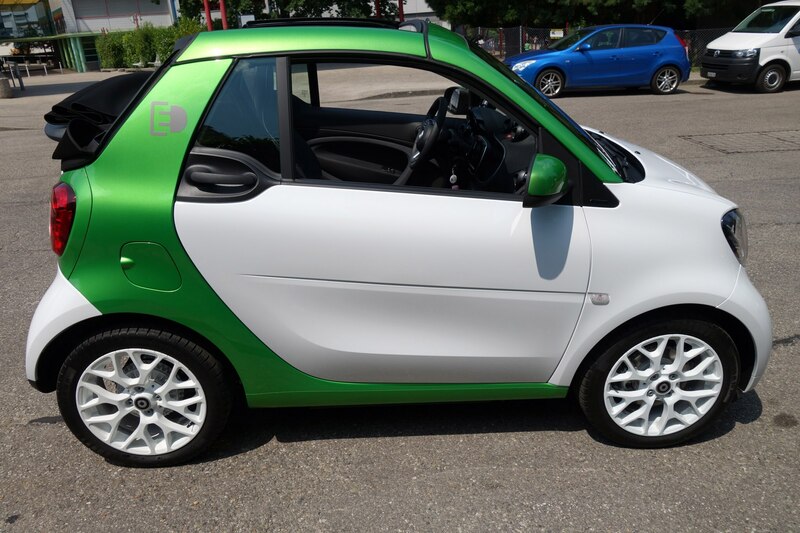 I stop to pull over and reluctantly close the top and turn off the A/C. 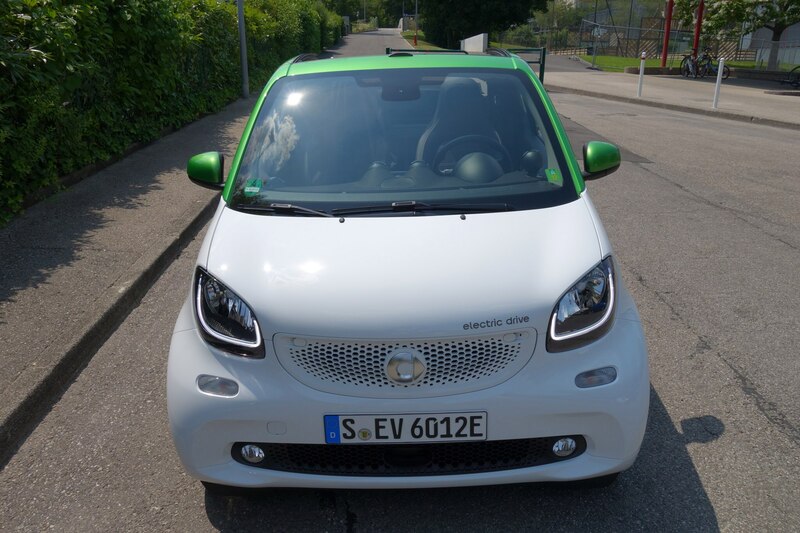 Smart claims that the recharge time to an 80 percent charge is 2.5 hours to 3.5 hours (depending on the local power grid) with a 240v/32A charger or 13 hours if you plug it in to a 120v/12A home socket. 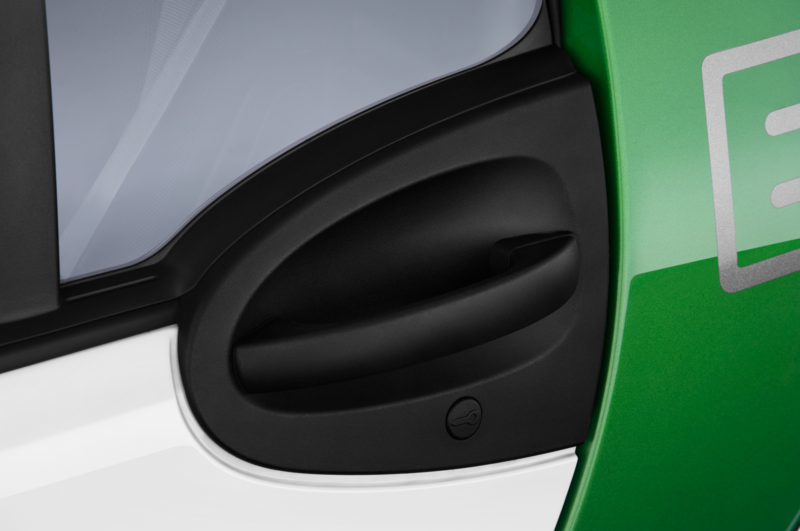 The charge port is located where the traditional gas cap would be. 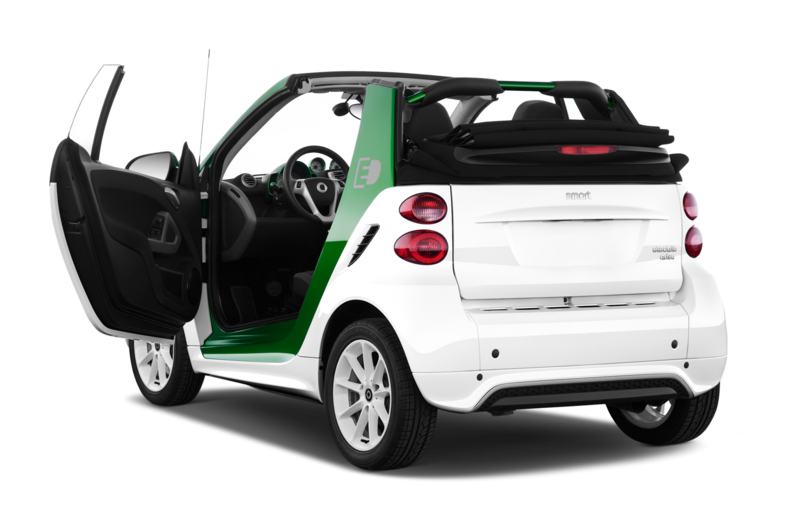 If you love convertibles, live in a big city, and have full-time access to a charging station at home or at the office — the new Smart Cabrio ED is made for you. 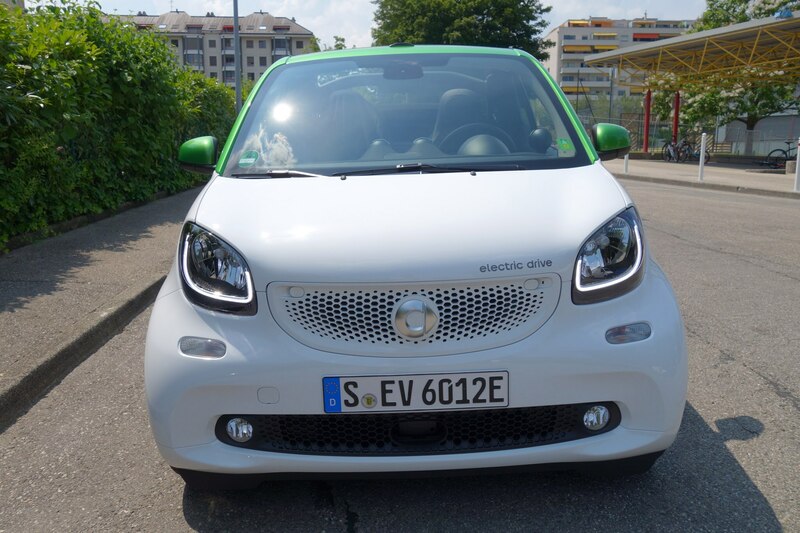 And if you don’t, you may want to consider another EV or hybrid with a better range. 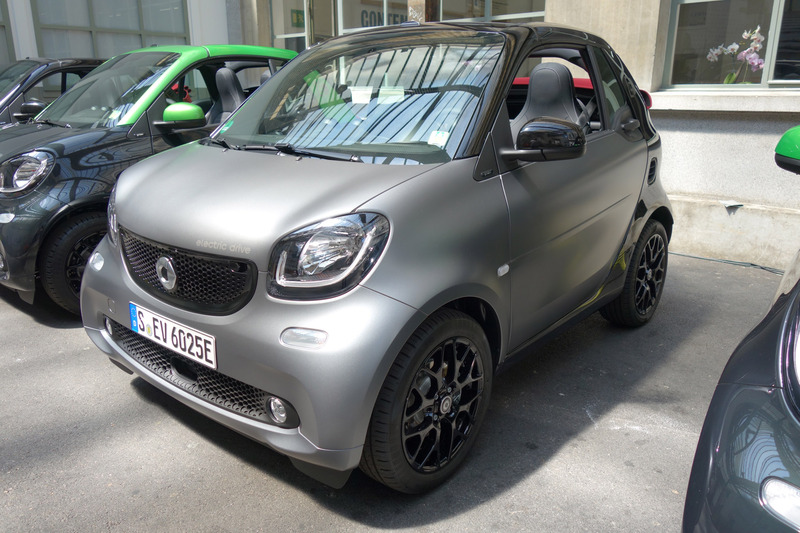 Granted, it’s not a cabrio — Smart has the market cornered for now. 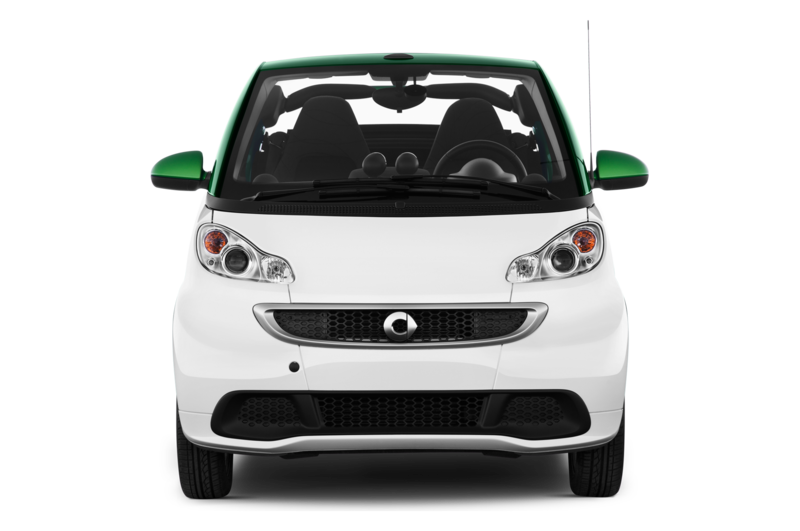 The Smart ForTwo Cabrio Electric Drive goes on sale in the late summer for $28,750 before incentives, and is also available as a Coupe that starts at $24,550.